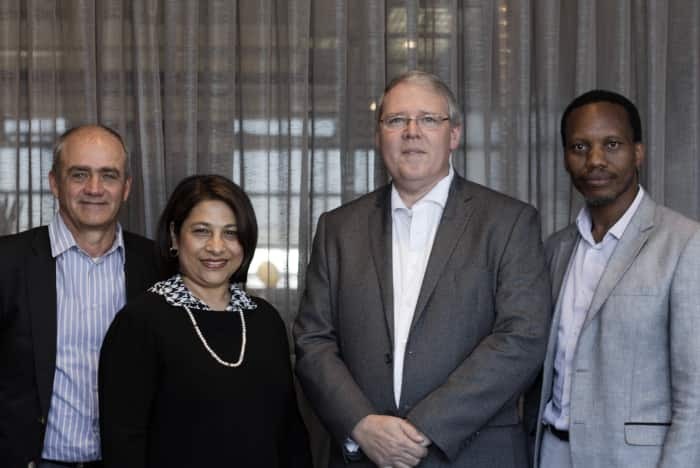 Brian Wilkinson, outgoing CEO; Faieda Jacobs, Non-Executive Deputy Chair; Rudolf Pienaar, incoming Non-Executive Board Chair; and Seana Nkhahle, outgoing Non-Executive Chair. The Green Building Council of SA (GBCSA) today announced the appointment of sustainability expert Dorah Modise (previously Nteo) as its Chief Executive Officer (CEO), the highly experienced Rudolf Pienaar as its new Non-Executive Board Chair and Faieda Jacobs as Non-Executive Deputy Chair. Modise will officially take the reins as CEO from February 2017, while Pienaar and Jacobs took up their positions from yesterday. Founded in 2007 as part of a larger network of Green Building Councils globally, the GBCSA champions the application of green building principles and practices in SA’s property sector, seeking to inspire a built environment in which people and planet thrive. These high-profile appointments signal the increasing importance of sustainable building practices in South Africa. Indeed, Modise’s skill set and 17 years’ experience in the sustainability sector is an exceptional match for the organisation. Currently serving as the Strategic Executive Director of City Sustainability at the City of Tshwane, she holds an MBA from the University of Pretoria’s Gordon Institute of Business Science (GIBS) and a Master’s degree in Environment and Development from the University of Sussex in the UK, a Post-Graduate Diploma in Environmental Diplomacy from the University of Geneva, Switzerland and a first Degree in Environmental Health from the Tshwane University of Technology. Before her role of transforming Tshwane into the greenest and most sustainable city on the African continent, Modise was Chief Policy Advisor for Sustainable Development at the SA Department of Environmental Affairs, where she spearheaded South Africa’s engagements in global sustainable development negotiations and the environment sector green economy response including the establishment and management of the national green fund. Pienaar holds impeccable credentials for his new position having been appointed first as Non-Executive Deputy Chair of the GBCSA Board in April last year, and then as Non-Executive Director of the World Green Building Council, representing Africa, three months later. 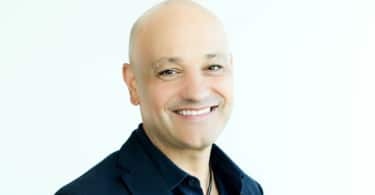 He is a long-time champion of sustainable, green building practices, which he has implemented in the R32 billion office portfolio that he manages as divisional director of Growthpoint Properties. Faieda is responsible for Strategic Projects at Old Mutual Property. She has 30 years’ experience in property, ranging from property management, property asset management and people management. Prior to joining Old Mutual Property, she was a property manager at Fountainhead Property Trust and Allan Gray Property Trust. “The GBCSA has taken great strides forward in the past nine years, leading the movement to design, build and operate properties in an environmentally sustainable way,” says outgoing Non-Executive Chairman of the GBCSA, Seana Nkhahle. “This firm foundation paves the way for this exceptional new leadership team to focus on sustainability in the public sector, developing green buildings at scale and building sustainable communities – all of which dovetail perfectly with Dorah’s particular skill set and experience. The GBCSA is in good hands and is assured of a bright and successful future,” he adds. 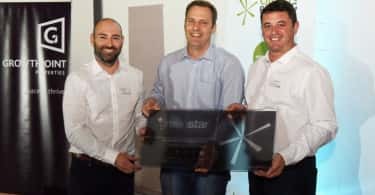 “The GBCSA has seen significant growth since its inception in 2007 and is geared to grow substantially in the years to come. This is mainly due to the increasing significance of the property sector in the reduction of global greenhouse gas emissions and the overwhelming balance sheet benefits brought about by efficiency savings,” says incoming CEO, Dorah Modise. “I am particularly passionate about sustainability and believe that South Africa still has a lot to offer in this field. I am excited about this new, challenging venture and look forward to working with the great team of professionals that I have come to know over the years and a board that is really committed to the success of the organisation. Rudolph Pienaar comes with in-depth knowledge of the industry and is well placed to provide the leadership and guidance required to get the GBCSA to its next great destination,” concludes Modise.